An epic fantasy saga with muskets and cannons, missions behind enemy lines, supernatural beings and assassins, mystery and mayhem. This is an ensemble saga with a large cast where the good guys don't always win. For thousands of years an ancient race of gods have ruled with bloodthirsty vengeance, and for thousands of years nothing could defeat them. Until now. 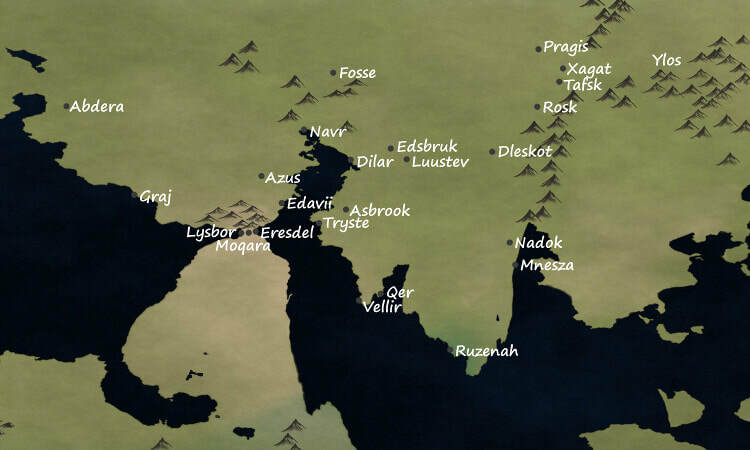 To the north lies an expanding empire of muskets and cannons which will soon reach the desert state of Moqara. 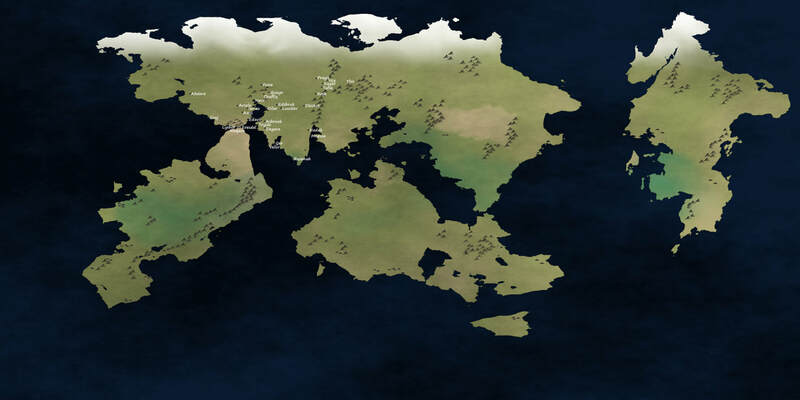 To the east: deadly alliances and rising anarchy. In the middle stands a prince on the verge of losing everything he has to one foe or another, until luck brings a remarkable young thief to his doorstep. Against all odds, Kes has intercepted a message from the enemy. A message which could save millions of lives. But time is running out. In order to prove her worth, Kes must return to the front lines of war. By her side is Lazden Dadario, a war hero who once swore to protect her, and who has regretted it ever since. With them: Jadiro, a crack shot who fears being dragged into the war he's riding towards; and Saj, an escaped slave who will have to guide the foursome through the lands of his former captors. 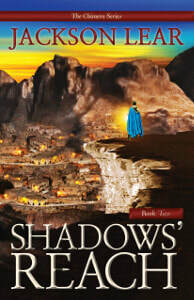 With no idea of who is watching them or how they are supposed to succeed, these unlikely companions must put their lives in each other's hands if they have any hope of evading the world's deadliest inquisitors and spies, an army of war heroes and slaves, and the war-torn world of A God Among Thieves. This series was kicking around in the back of my mind for six years before I got around to writing it. It grew from a combination of fragments, bits of stories, settings, and characters from all sorts of stories and worlds that I was working on. Every now and then I'd come back to the Chimera Universe and add a little flavour and try to group it all together to see if any of it made sense. Slowly, the pieces started to fall into place; a fantasy story in a Napoleonic era, where the heroes fight with muskets instead of bows and arrows, and where there is no clear bad guy but the world is still high in conflict. The first glimpse of the Chimeran world came from a screenplay that didn't really go anywhere. It was set on a far off planet, in a war against humans and aliens. The humans started the fight and were losing, and the aliens had god-like beings they worshipped who were winning the war for them. One day, the humans learn that one of the gods wants to defect to the human side. Four soldiers are sent behind enemy lines to find this god and bring them back. If you've already read a God Among Thieves, that's pretty much the set up for the whole book. The screenplay fell apart because the story was focussed on the soldiers getting to this god and escaping back, but I figured that viewers wanted to see this god in action so it could save the day. Spending an hour and a half watching one story unfold only to then tack on a twenty minute deus ex machina didn't feel fulfilling. So, I put the story away, thinking that it might serve a purpose somewhere else. The next big piece came from wanting to see a fantasy story in an oasis, instead of the typical medieval Europe setting. I also wanted to see a change in technology, somewhere between knights with swords and steampunk. And because the fight of good vs. evil has been done a bazillion times, I wanted to see both sides of war and find out what drove them into combat. For a while there was a good chance that the Chimera series just wasn't going to happen. I had been writing the Kingston Raine series for a couple of years and was positively burned out on the characters and type of books I was writing. While writing the fifth Kingston book I even promised myself that I would never write another series again, because it was too taxing. What changed? Well, the Kingston universe is set in the afterlife, which makes it virtually impossible to kill off a problem character. The Chimera series doesn't have that issue. If a character is starting to drag me down I can them in some satisfyingly brutal fashion. And, because of the spectrum of characters, there isn't a single protagonist. In early 2016 I started fleshing out the story elements as much as I could so that I could begin work in September. I wrote lists of potential character names and tried to figure out what sort of person belonged to that name, I threw together a whole bunch of vowels and consonants to see what location names I could come up with, and I started looking into the Napoleonic world to see what they fought with. 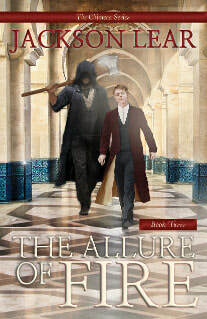 One of the late entries to the Chimera world was what happens in the third book, The Allure of Fire. I wanted to see something like the Departed to balance out the whole story. In the first book I have a team of good guys who have to sneak through bad guy territory where they sometimes have to pretend to be bad guys themselves, so to round it out I wanted a team of bad guys to sneak through the good guy territory and pretend to sometimes be good guys. For the third book I knew I wanted to start with one of the poncy aristocrats from the empire being caught and ransomed back to his people. There were going to be two aristocrats who squabbled everywhere they went, but since it was just two of them heading into Moqara they would surely fail, due to gross incompetence. So, a third imperial someone was needed … someone who would succeed no matter what. Someone kinda like Lazden Dadario. I considered going with a swashbuckling smartarse who rescued the lord from his imprisonment in the first chapter, but I had already written about fast talking smartarses, and this wasn't the kind of story I wanted to tell. Perhaps a sniper, then? No, because the good guys already have a sniper and I needed some kind of contrast. Then an odd image appeared before me: one where an aristocrat is walking through the desert, whining, complaining, and being fairly useless. That all stops the moment this mystery third person removes a knife, slices the throat of their only camel (the one being used to carry all of their bags), and dumps all of their luggage into the arms of the whining aristocrat without saying a word, making him their new pack mule. While I didn't use that particular scene in the story, it did show me the first glimpse of Dakahvin. Most of my characters will try to talk their way out of any situation. Dakahvin won't. He'll resolve a situation with an axe. He was so spectacularly violent that he could move the story along simply by hacking someone to death. Perfect. On 31 August 2016 I started writing A God Among Thieves. I envisioned the whole series to be four books long. Maybe five. But certainly four. Each one was going to be around 150,000 words long. The first book would see Kes and Lazden head out to the frontier, Losten and Reina investigate Resten den Mareaux's murder, and we'd have Kasper and Calista dealing with the nightmare that was Arton, Owen, and Dakahvin roaming around Moqara. Books two, three, and four would see all the characters jumbled about, fighting each other as the empire moved to threaten them all. On the second day of writing, I knew I was in trouble. According to my flimsy outline, the first chapter should've been 3,500 words long. Instead, it was double that. But, you know, maybe that wasn't much of a big deal. The chapter introducing Arton and Dakahvin was 2,500 words over my estimate. A dinner scene with the Prince and several affluent families kept going on and on. Kes' antics in several cities should've taken one chapter to resolve, instead they required two or three. And for the sake of pacing, one chapter of sneaking through a forest while being hunted by the Dyugaa required not just one fight with them, but two. Not only was this book not going to be 150,000 words long, it wasn't even going to be a worst-case-scenario 210,000 words (about 10,000 words longer than Harry Potter and the Deathly Hallows). In January 2017 I reached a real crisis time. The book just wasn't going to end. I had created a whole new nightmare like I'd suffered during the Kingston Raine series, only my previous belief that killing off main characters would solve all of my problems wasn't going to work. I simply had too much story and too many threads to tie up neatly. So I put the project on hold for two weeks as I tried to figure out what the hell I was going to do. The begrudging answer of 'split the book apart' became a necessity. Since there were three book-length storylines, there would have to be three separate books. I hoped that the box set version would see the books come together as they had originally been intended. So, with a resurgence of energy, I powered through A God Among Thieves, coming in at 150,000 words (the length the first trilogy should've been). The second book, Shadows' Reach, clocked in at 126,000 words, and The Allure of Fire finished at 135,000. All up, what should've been 150,000 words came to 411,000. It was a whole 38% longer than a Game of Thrones. Yikes. Anyway, I hoped you liked the background musings on the Chimera series. I believe it has something for everyone: action, humour, heroes in life-or-death situations, a supernatural enemy, good guys who are bad guys and bad guys who are good guys, some sass, and a fair amount of swearing. Things rarely go according to plan for anyone involved, so if you want to follow a bunch of characters as they walk through hell to see who has the tenacity to keep going or wither away, then start with A God Among Thieves.